20 March 2008: Bertrand Delanoë was elected as Paris' first Socialist mayor in recent times in March 2001. Since then he has survived an assassination attempt, failed to secure the Olympic Games and seen a state of emergency declared when riots engulfed the city's suburbs. He has also instituted a series of popular cultural initiatives and has never kept his homosexuality a secret. Easily re-elected in March 2008, the mayor has been short-listed for the 2008 World Mayor Award. 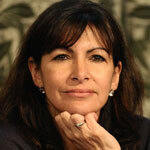 Update 31 March 2014: Anne Hidalgo, the Socialist candidate, has been elected Mayor of Paris. She won 54.5 per cent of votes against Nathalie Kosciusko-Morizet of the conservative opposition UMP party. Hidalgo, who has served for 13 years as deputy to outgoing Paris Mayor Bertrand Delanoë, will become the first female mayor of the capital. Having been born in the French colony of Tunisia in 1951, the Delanoë family moved back to France during Bertrand’s teenage years. Delanoë’s first post within the Socialist Party was as its Secretary in the Aveyron department. 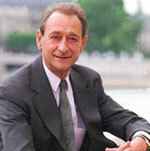 Delanoë was first elected to the Paris City Council in 1977, the year Jacques Chirac became mayor. He has also served in the French Senate, which unusually has many mayors among its membership. The Socialists’ control of the city council is significant as it is the first time since the Paris Commune of 1871 that city has been run by the left. Delanoë election as the nominated candidate of an alliance of left parties took place against the backdrop of a significantly disgraced and divided right following revelations concerning former mayors Jacques Chirac and Jean Tiberi. France’s strict privacy laws have traditionally protected public figures from intrusion into their private lives and the Mayor is the only major French politician to be openly gay. However, in 2002, an attempt was made on his life by a would-be assassin, Azedine Berkane. M Berkane claimed that the mayor’s homosexuality incited him to make the attack. The mayor was not seriously injured, though he spent two weeks in hospital. Though M Delanoë invested much energy into Paris’ failed bid for the 2012 Olympic Games, the public have been rather more forgiving to him than to President Chirac, whose unfortunate comments about London’s rival bid were attributed to the decision. M Delanoë’s popularity currently outstrips all other political figures in France. The darkest hour of M Delanoë’s mayoralty came with the disturbances that broke out in Paris’ ‘red belt’ suburbs in October 2005. The banlieus have been the scene of many riots over the past two decades and on this occasion broke out following the deaths of two teenagers of North African descent during a police pursuit in the commune of Clichy-sous-Bois, which has the highest levels of deprivation in metropolitan Paris. On 8 November the French President Jacques Chirac declared a state of emergency using powers. Though the rioting eventually ceased, hundreds were arrested and thousands of cars burnt. In response to the riots, the French government has tightened immigration regulations, especially around granting French citizenship. Elections to the Paris City Council are held every six years (extended by one year in 2007 because of that year's presidential poll). There are 163 conseillers for the 20 arrondissements. The mayor is chosen as the head of his party's list but contests the election as a councillor rather than as mayor. On housing, Mr Delanoë’s pledged at his election to reintegrate the Parisian population by buying up luxury properties, mainly in up-market areas of Paris, and making them available at lower rents to poorer tenants. This he has done by buying up properties in the west and centre of the city and thus making several hundred new apartments available as moderate rent dwellings, or HLMs (Habitations à Loyer Modéré), although this has not been welcomed by all the current residents, who accuse him of pointless social engineering. He says that this policy will reverse the trend of poorer people, especially younger families, abandoning the city altogether as well as reintegrating the city population, a policy already practiced in other European cities such as Munich. His policy is based on the ‘Law for Solidarity and Urban Renewal’, passed by France’s Socialist Government in 2000, which makes it compulsory for communes of more than 50,000 people to have rent controls in at least 20 per cent of the housing stock by 2020. The aim is to standardise the principal of ‘social variation’, and prevent neighbourhoods slipping into either very rich or very poor ghettos. Mr Delanoë’s applies this law to each of the 20 arrondissements (districts) of Paris, which vary between 30 per cent social housing to one per cent. He wants to make the obligatory minimum threshold of 20 per cent apply evenly across the whole of the city. Delanoë’s was elected on a pledge to control car traffic and the associated pollution. He pointed out that “private motorists, who make up a quarter of road users, use up 94 per cent of Paris’s road surfaces”. He set out to combat this by restricting access to cars in the city centre. By reserving lanes on major routes for buses, taxis and cycles only and thus restricting cars to one or two lanes, he made taking a car into town unattractive. He wants to eventually eliminate motorised traffic on both banks of the Seine completely and built a new tramway in the south of Paris in 2006. The transformation of Paris' city centre through the bike hire scheme known as Vélib has led to a massive increase in support for the city's socialist mayor Bertrand Delanoë, according to the Libération newspaper. Vélib, or vélo libre, is operated by the city council in conjunction with advertising giant JC Decaux and utilises 20,000 pay-as-you-ride cycles from 1,450 automated hire points across the city. The scheme has seen the city streets of the French capital transformed and the credit given the Delanoë’s administration in effectively delivering it has seen his popularity rocket among Parisians according to the newspaper. The transformation of Paris' city centre through the bike hire scheme known as Vélib has led to a massive increase in support for the city's socialist mayor Bertrand Delanoë, according to the Libération newspaper. Vélib, or vélo libre, is operated by the city council in conjunction with advertising giant JC Decaux and utilises 20,000 pay-as-you-ride cycles from 1,450 automated hire points across the city. The scheme has seen the city streets of the French capital transformed and the credit given the Delanoë’s administration in effectively delivering it has seen his popularity rocket among Parisians according to the newspaper. With the revitalisation of the capital's popular image broad, not least after the 2012 Olympic bid disappointment, the mayor now plans to introduce 'autolib', with two thousand small cars available for short-term users from stands on street corners. Having presided over a civic onslaught of the French right in the capital, Delanoë sensed momentum behind his bid to replace François Hollande as PS leader, crashing out in third place at its 2008 Reims congress and subsequently declaring the party "gravely ill".